Arun District Council has quelled rumours around its role in the closure of the Look and Sea Centre. A spokesman said that at no point had the council ‘requested’ or ‘insisted’ that the lease be surrendered. The spokesman said the council had been informed by the centre’s board of trustees that the business was being placed in administration, which was announced on August 31. Following discussions with the trustees and the administrators, the council sought legal advice and informed the trustees that by going into administration, the board was surrendering its lease. The administrators, said the council, were in full agreement. 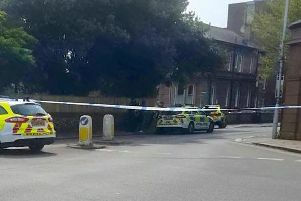 In a statement, the council said: “As freeholder, the council had a responsibility to secure the premises once the situation had been confirmed, as well as ensuring that the adjacent youth hostel, which shares the same utilities, plant services and fire escape access, remained safe and able to operate as usual. Correction: In a previous version of this story, former trustee Roger Green was incorrectly attributed with saying the council had been ‘helpful and supportive’. This was an error and has been amended.